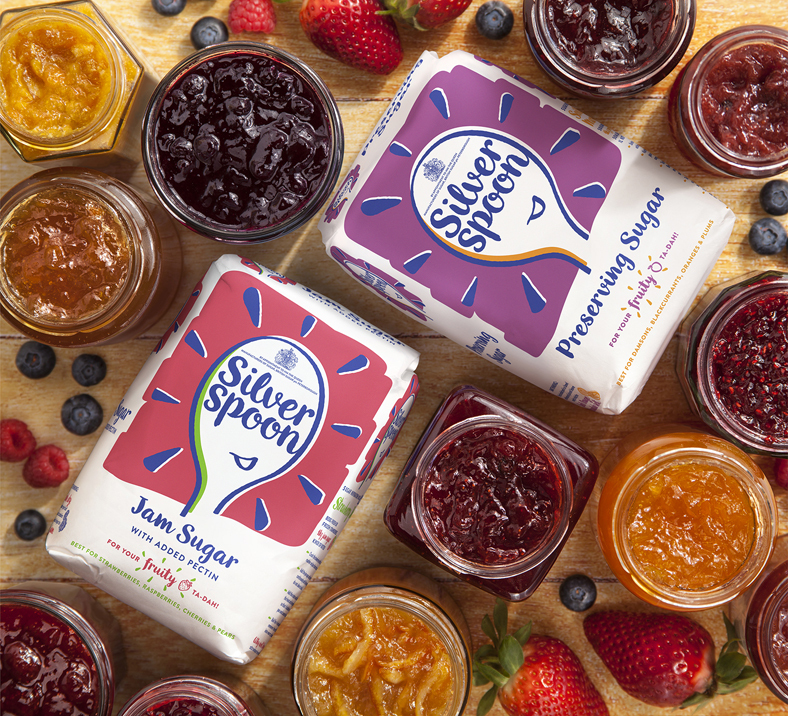 BrandOpus has created a new identity for sugar brand Silver Spoon, which aims to evoke “British wit”. The consultancy says the rebrand comes as the sugar category “has been under increasing pressure to create stronger brand engagement due in part to changing consumer views around sugar, and the growing focus on innovative range extensions”. It says it was tasked with “bringing a brighter perspective” to Silver Spoon and “softening the more formal undertones of the brand”. 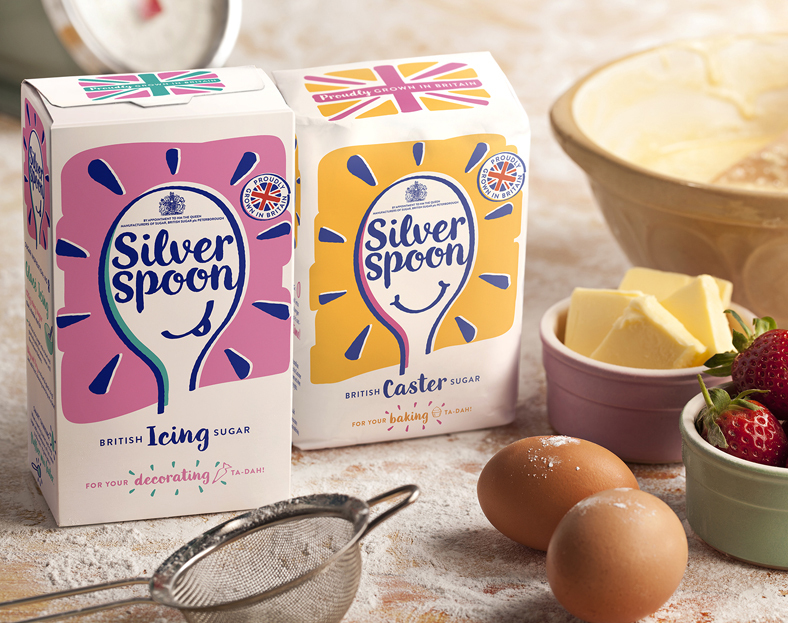 The new identity is focused around a reworking of the brand’s spoon motif, which BrandOpus says is Silver Spoon’s “most recognisable asset”. BrandOpus says “[The spoon has been transformed] from a utility into a reflection of the brand’s sense of joyfulness. 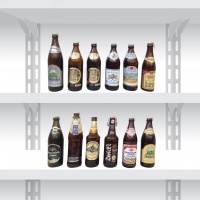 The redesign is inspired by “British wit”, the consultancy says. 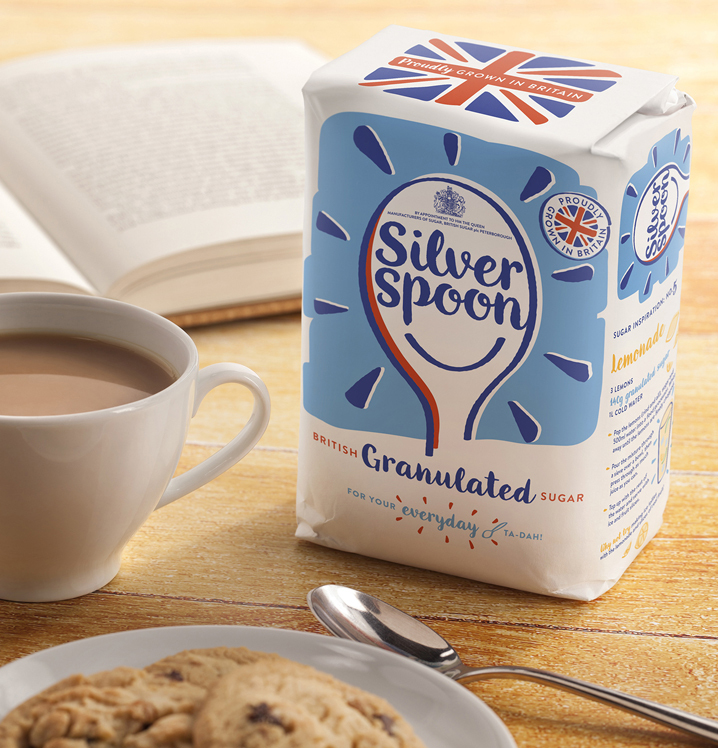 Paul Taylor, executive creative director of BrandOpus, says: “With this new identity, Silver Spoon feels less commoditised as a brand.